…by providing an SDK and a set of high-level APIs that sits on top of a fabric layer that connects all the different big data components in an optimal way – they’re delivering on the promise of making big data accessible to all. To really get an idea of the sort of outcomes that Continuuity is delivering customers, I quizzed CEO Todd Papaioannou about an interesting case study from one of the private beta testers. The customer, which runs a social commerce platform, wanted to deliver targeted recommendations and personalization for users visiting their Web properties. 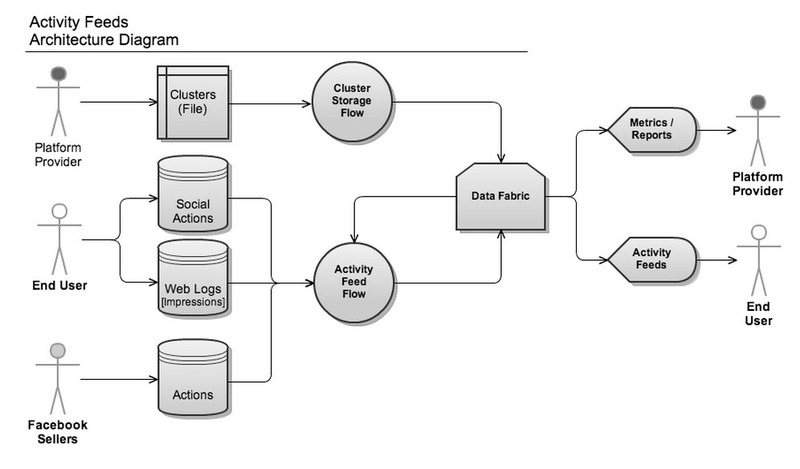 They wanted to process events in real time from a variety of different data sources including all activity on their site (user clickstream, seller actions) as well as additional information about their users pulled from the Facebook API. These events, combined with their proprietary customer segmentation algorithms, allowed them to generate personalized per-user product recommendations and then use them at serving time by making queries directly into the Continuuity AppFabric. Continuuity is providing a very interesting platform, and one which the current preoccupation with big data from all vendors will get a fair amount of attention – I’m looking forward to seeing some case studies from the public beta.